Savannah.com » Welcome To Savannah! Southern hospitality awaits you with open arms this fall in Savannah. The history, the beauty and the charm of this coastal Georgia gem beckons you to immerse yourself in a city like no other. Savannah’s reputation as The Hostess City is well earned as you wander the cobblestone streets of the historic district and receive the warm greetings of merchants and locals alike. Take the time to experience the outdoor cafes, gastro pubs and fine dining establishments that all make savannah a true culinary experience. Remember that wherever you go and whatever you do, the activities continue all season long in Savannah. From high-energy festivals to exciting art exhibits, Savannah brims with activities to stimulate the mind, the body and the senses. 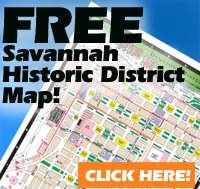 As always, our Calendar of Events keeps you on top of Savannah’s most exciting activities. Welcome to Savannah! We hope you will return, again and again, to experience the magic of this charming coastal haven!